Earlier this year, Retro Games Ltd, a UK based company, created a miniaturised version of the Commodore 64, reimagining the classic 80's PC in a smaller form factor while maintaining the devices programming capabilities. Today, the Commodore 64 remains the most famous of early computers, so much so that there remains a community that is dedicated to creating new software for the device or running classic games. Right now the mini console is available in the UK for around £64.99. The device comes with 64 pre-installed games, a joystick, a USB power cable and an HDMI cable. The C64 Mini offers accurate C64 operation and offers several pixel filter options to provide CRT scanline simulation on modern screens. The device's keyboard isn't functional, with USB acting as the only connectivity option for 3rd party keyboards or the device's included joystick. HDMI serves as the device's primary display output, making the device usable with modern monitors and televisions. So far, the C64 Mini has remained outside the North American market, but that will change on October 9th, when the C64 Mini will become available within the continent for the first time. A larger, full-sized version is also set to release later this year. 35 years later and it’s back. THEC64 Mini plugs into any modern TV via its HDMI port and gamers can play any one of the 64 licensed classic pre-installed games. 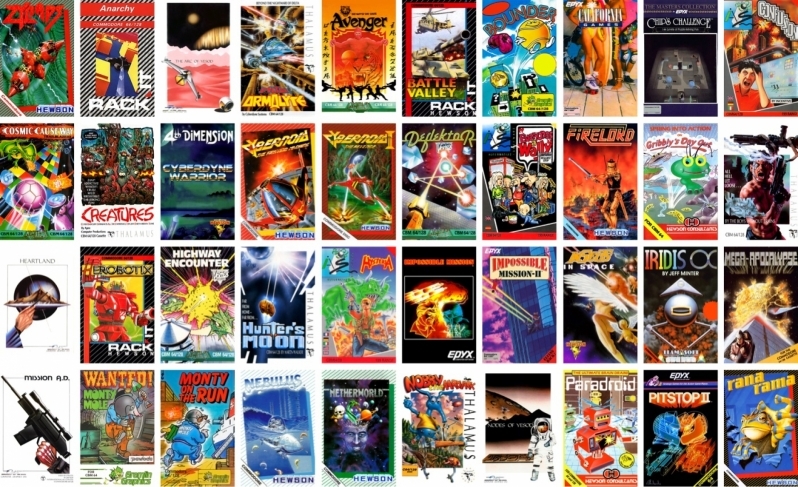 This includes games from original legendary developers such as Epyx, Gremlin Graphics, Hewson and The Bitmap Brothers; and boasting titles such as California Games, Speedball 2: Brutal Deluxe, Paradroid and Impossible Mission. Most of these were rated over 90% by leading publications of the day, with many winning coveted awards. From sports to shooters, platformers to puzzlers, there’s a plethora of titles to keep the most discerning retro enthusiast happy. The C64 mini will release with the following games out of the box. At this time it is unknown whether or not more games can be added to this classic console emulator. 2-player games are supported with an additional joystick. AlleyKat, Anarchy, Armalyte: Competition Edition, Avenger, Battle Valley, Bounder, California Games, Chip’s Challenge, Confuzion, Cosmic Causeway: Trailblazer II, Creatures, Cyberdyne Warrior, Cybernoid II: The Revenge, Cybernoid: The Fighting Machine, Deflektor, Everyone’s A Wally, Firelord, Gribbly’s Day Out, Hawkeye, Heartland, Herobotix, Highway Encounter, Hunter’s Moon, Hysteria, Impossible Mission, Impossible Mission II, Insects In Space, Mega-Apocalypse, Mission A.D, Monty Mole, Monty on the Run, Nebulus, Netherworld, Nobby the Aardvark, Nodes Of Yesod, Paradroid, Pitstop II, Rana Rama, Robin Of The Wood, Rubicon, Skate Crazy, Skool Daze, Slayer, Snare, Speedball, Speedball II: Brutal Deluxe, Spindizzy, Star Paws, Steel, Stormlord, Street Sports Baseball, Summer Games II, Super Cycle, Temple of Apshai Trilogy, The Arc Of Yesod, Thing Bounces Back, Thing on a Spring, Trailblazer, Uchi Mata, Uridium, Who Dares Wins II, Winter Games, World Games, Zynaps. You can join the discussion on the C64 Mini's upcoming US release on the OC3D Forums.